Boston's Fenway/Kenmore area is booming! Home to famed Fenway Park, and many of the best sports bars in the city, t has grown to become a hotbed of activity that includes some of Boston's best restaurants, a movie theater and seriously cool quirky shops. 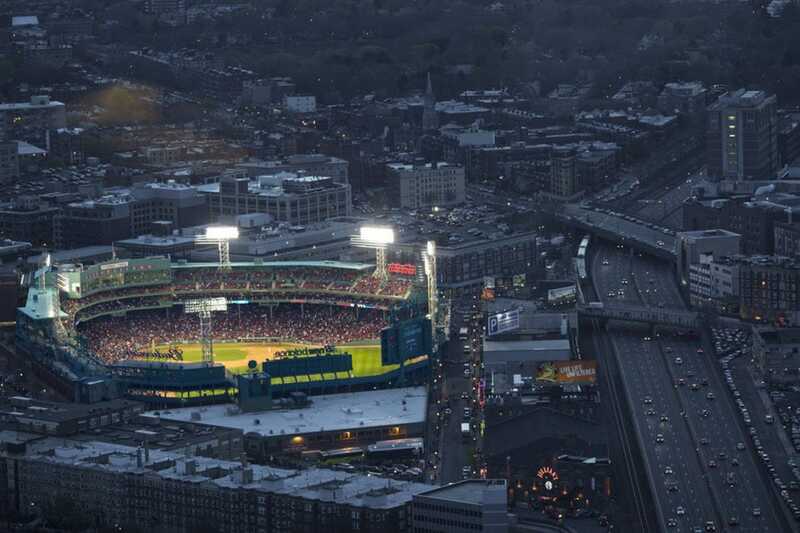 Fenway Park makes its home in the heart of the Kenmore/Fenway area. Crowded on game days, the area comes alive with fans seeking to eat drink and be merry all while watching the game. Whether from the coveted seats within or on one of the many available bar stools surrounding the park, you'll sure to enjoy your day at Fenway. There was a time when good food in the Fenway/Kenmore area was hard to come by. Now, it is a hotbed of fabulous finds! Award winning restaurants line the streets of this neighborhood and allow diners to have a casual dinner of burgers and beer, almost anywhere, but if you desire a something more upscale you can rest assured you'll find it here. Citizen Public House, Eastern Standard and Island Creek Oyster Bar make that clear. Fenway Park is not the only draw to this neighborhood. The bars that live on popular Landsdowne Street do their part to ensure people flock to this area even when the Sox are out of season. Literally lined with bars, Landsdowne makes it easy to find your perfect night spot. One Landsdowne street location offers it all: Jillian's here you can watch the big game, dance, and even enjoy a game of pool. There are not too many hotels in the Fenway/Kenmore area, but those in this area are excellent. For a luxurious stay in Kenmore's bustling center, check in to Hotel Commonwealth. A boutique hotel that's big on service you'll find yourself quite happy in one of their ultra clean modern rooms. Some even face Fenway Park! And with two award winning restaurants on site, you won't have to travel far to rest your head at night. Although the Kenmore/Fenway area has developed to include more mainstream shopping options, in recent years it is still a go to spot for those seeking something outside the ordinary. Stores like Nuggets, where you can buy and sell records, CD's, and cassettes is a music junkies paradise. The people working here know good music, and are always more than happy to help you find exactly what you are looking for.